For centuries Canterbury has been a cultural icon. Tourists flock to the city to experience this culture, to connect with the buildings and streets that offer a glimpse back to England’s past. Google ‘Canterbury’ and you will get a page of images showing the Cathedral, boat trips on the Stour and the castle. Our project, ‘Canterbury Culture’, set out to take this brilliant heritage backdrop and thread through it the masses of contemporary culture that we have in the city. Canterbury has great theatres showing a huge range of work, it boasts an International Arts Festival every October and a wealth of museums headed by the Beaney House of Art and Knowledge alongside galleries such as the Sidney Cooper Gallery presenting creativity from the past and from the present. There is a wealth of new music being presented by City Sound Project and Beautiful Town Music amongst others, and there are spoken word nights springing up across the city complementing Wise Words Festival which is held each Spring in the stunning Blackfriars Garden. I have missed out loads, including the wealth of creativity generated at our three Universities, and through the great work of the Canterbury Arts Council, the Canterbury players and on and on…. Canterbury Culture exists to celebrate all of this creativity, to shout about them and to work with heritage & tourism partners to present a rounded view of Canterbury to visitors. We created http://www.canterburyculture.org which is an event listing and blog. The site highlights events that are ‘Unique to Canterbury or a surprise to see in Canterbury’. This could be Glyndebourne touring to The Marlowe Theatre, or local band Syd Arthur playing Gulbenkian. The blog has a remit to feature lifestyle that includes culture and the arts – not just bang on about arts events. So we will do a feature on great coffee shops in town, alongside an item about open mic gigs. The website is supported by Facebook and Twitter social platforms. The Tellers have been placed in key tourism spots including The Canterbury Tales, The Marlowe Theatre and The Beany House of Art and Knowledge. This project would not have happened without Culture Kent. The brief to reach Canterbury tourists was written by Sarah Dance at Culture Kent, and all we as a group decided to do was pitch to take on and deliver the pilot project. Through Culture Kent we accessed funding, but also expertise of the Audience Agency for seminars on research and digital audiences, plus evaluation from Canterbury Christ Church University. There is also a great feeling of being given licence to experiment – this is a pilot, a test and we are all trying out new things. The ethos that everything we learn is to be shared with the wider Culture Kent partnership. It has been massively beneficial working together as partners. We still have to evaluate the real outcomes of the project in terms of increased audiences and awareness of arts events, but all those involved feel we have created something that can improve and develop over time. So we are now searching for funding from April 2017, so the pilot project can become just what we do…. As previously discussed in part 1, digitised museum artefacts in the form of 3D models of museum artefacts can be considered ‘open data’ when they are made available online through museum websites and downloadable apps. Many world-renowned museums already make this possible, but smaller museums can similarly benefit from digitising their collections and presenting their interactive, 3D artefacts online. In fact, when it comes to increasing smaller museums’ profiles, this type of open data is their best bet for allowing a global audience to become familiar with their purpose and access their collections. While the process of creating 3D models of museum artefacts may seem daunting, advances in technology have paved the way for more attainable methods that do not require expensive equipment, extensive technical backgrounds, or months of labour. Recently, the company Autodesk, known for their suite of 3D design software, developed 123D Catch, which allows users to create accurate 3D models from photographs . Since it’s beta version, they have made great strides in updating their software to accommodate those with no prior background in 3D modelling, making it even easier to create 3D models quickly and accurately. Just two short years ago when I was using 123D Catch to create 3D models of cultural heritage artefacts, I remember it took several attempts of capturing an artefact before arriving to a suitable 3D model. It also required taking photos and testing the results in several environments, including indoors and outdoors. However, in the past couple of months, a colleague used the same software to create 3D models of her sculptures. She was able to create acceptable 3D models after only two tries, both indoors. This is just an example of how software is constantly being modified to give the user an optimal experience. Therefore, museum personnel can be confident that current staff can be utilised to assist with creating 3D models of their artefacts for use on websites and downloadable apps. This is just one way museums can make their collections open and interactive to a global audience. In the last post, I discussed how making cultural event data can lead to a sense of ownership, which is similar to how making 3D models of cultural heritage artefacts available online can lead to a feeling ownership. While cultural events and cultural heritage artefacts are completely different from one another, they both can result in experiencing enjoyment and emotions. These are strong responses that have been linked to return museum visits and monetary donations, and they demonstrate that a museum’s exhibitions and collections are successful. Similarly, organisations need to know that their open data are being used effectively. In digital terms, positive responses can result in return website visits, positive online reviews, online sponsorships, and increased attendance to similar events via website searches. The organisations that hold the events will similarly respond by making future events’ data available online and even offering more events. Open cultural event data allows information to be shared on many websites, yet each website curates relevant cultural event data for their own audience, perhaps only choosing to include a few events from the listings on different websites. As a result, the owners of a website feel a sense of ownership over their evolving list as they try to cater to their readers. They know who their audience is and the types of cultural events they would enjoy, and audiences will respond by revisiting the same websites to hear about events. Another effect of allowing website owners to curate their cultural event data from the vast event listings online is that the audience feels valued. A lot of time and effort goes into making data open and designing or editing a website to include open data; without this work, the audience would have to manually search many websites to find the event information they are seeking. Important event information can also be overlooked when one does not know where to seek pertinent information. Knowing that organisations value their audience enough to make it easier for them to track down potential cultural events also results in the audience valuing the organisations. Open data and their positive effects are a two-way street that everyone can benefit from. There already have been some success stories related to open data and the arts. Specifically, Creative Commons ‘enables the sharing and use of creativity and knowledge through free legal tools’ and has a wide range of galleries and museums that have benefited from their efforts. However, successful use of open cultural event data is just as important and needs more attention. Over spring 2015 Folkestone Creative Quarter had the fantastic opportunity to organise and run a pop-up shop in Bluewater Shopping Centre. Organised in conjunction with Visit Kent and Produced in Kent, four Kent-based businesses took up a pop-up each from April 1 to May 4 in a variety of locations within Bluewater. The Folkestone Creative Quarter shop presented the work of 26 artists, makers and retailers. The other participating businesses included Macnade Fine Foods, Leeds Castle and The Wooden Spoon. With an annual footfall of 28 million and a catchment area that includes 6.5million, this was the perfect opportunity to present Kent’s thriving creative hub to a new and large scale audience. The Bluewater staff told us that we came under their radar due to the work we did for Folkestone Triennial and Cultural Destinations when they came across the kiosk during its tour of key tourist attractions in the region. The large space provided was the ideal location to display work, with ample hanging space, large concourse-facing windows and lots of room for creative workshops. 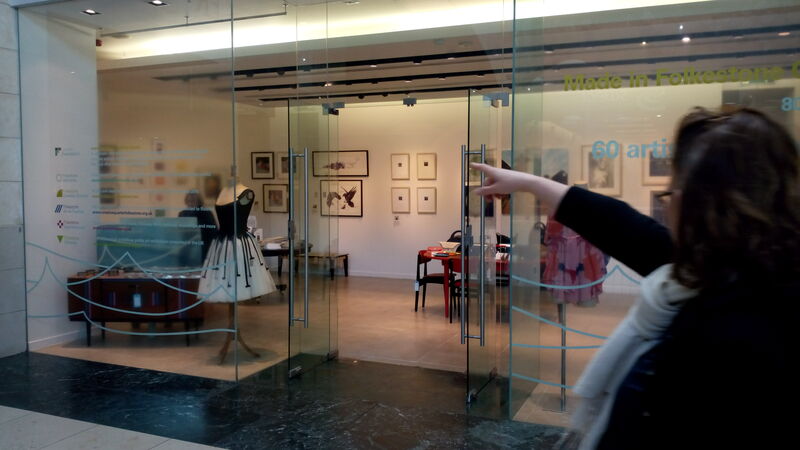 The Creative Quarter team maximised the space’s potential to create a welcoming and fully functioning shop and gallery, which was ideally located opposite Marks and Spencer’s in Bluewater’s Upper Rose Gallery. Works available included original artworks, paintings, prints, fashion, handmade handbags, jewellery, art books, cards, gifts and many other items. Artists included Malcolm Allen, Jack Frame, Steve Harkin, Shane Record, Alan Smith and Kate Knight. Over the six week period the team opened daily between 10am – 6pm Mon – Fri and 11am – 5pm on Sundays. During this time the Creative Quarter pop-up attracted over 5,300 visitors and generated income of over £6,800 on behalf of the artists. The shop proved to be a hit with both Bluewater regulars and first time visitors, offering a unique range of goods, friendly conversation and a great insight into Folkestone’s regeneration. 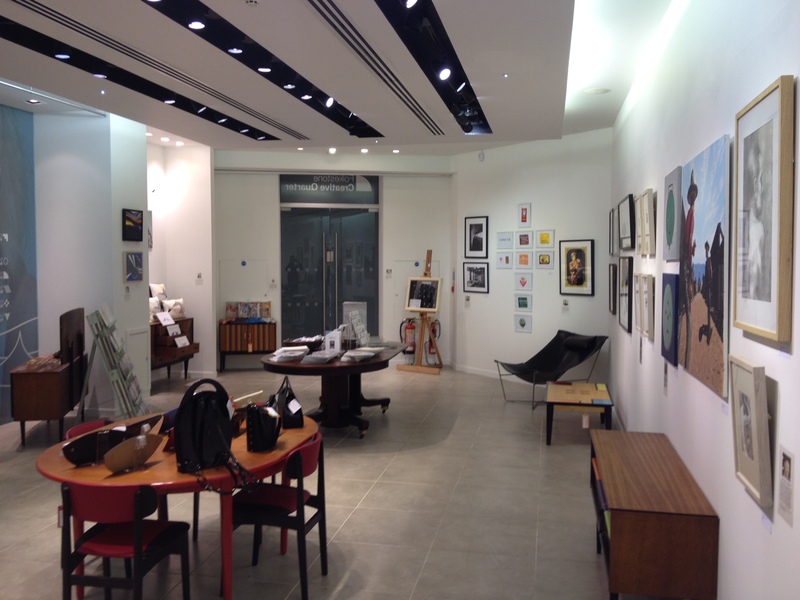 The shop introduced our artists and makers to a new audience and provided links between them. Visitors to the shop contacted artists and makers long after the end of the pop up to purchase works from them directly. We are aware of 16 such purchases that would not have happened if the pop up shop didn’t take place from customers as far away as London. 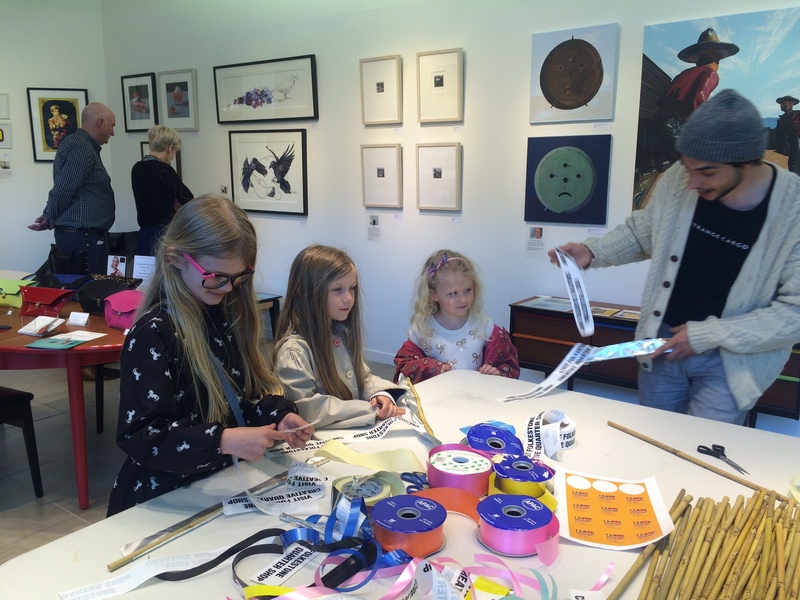 Several family-friendly workshops took place over weekends and bank holidays, encouraging families to join in with Folkestone artists including Strange Cargo, Fat Hen and Flo and Mark Sutherland. In addition participating artists also joined the team on weekends, demonstrating their skill, displaying works in progress and being on hand to chat with customers. 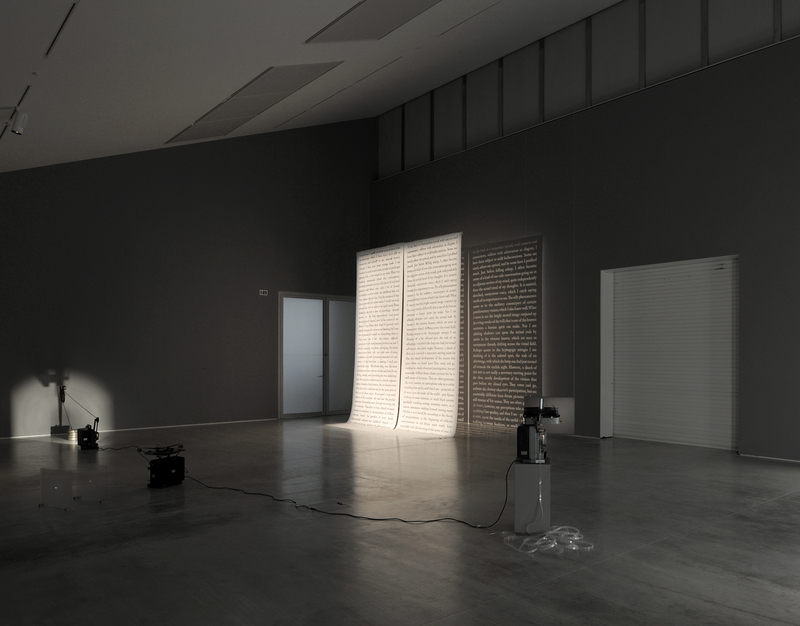 Both workshops and visiting artists helped make the customer experience more enjoyable and highlighted the wealth of talent that Folkestone boasts. By taking advantage of such a great opportunity the Creative Foundation was successful in promoting its five projects and the creative community to a broad demographic. The shop environment helped with this by allowing for one-to-one communication, ideal for passing on information and listening to feedback. Many people had heard good things about Folkestone’s rapid transformation through creative activity and it was fantastic to be able to reinforce this and encourage people to pay the Creative Quarter a visit. 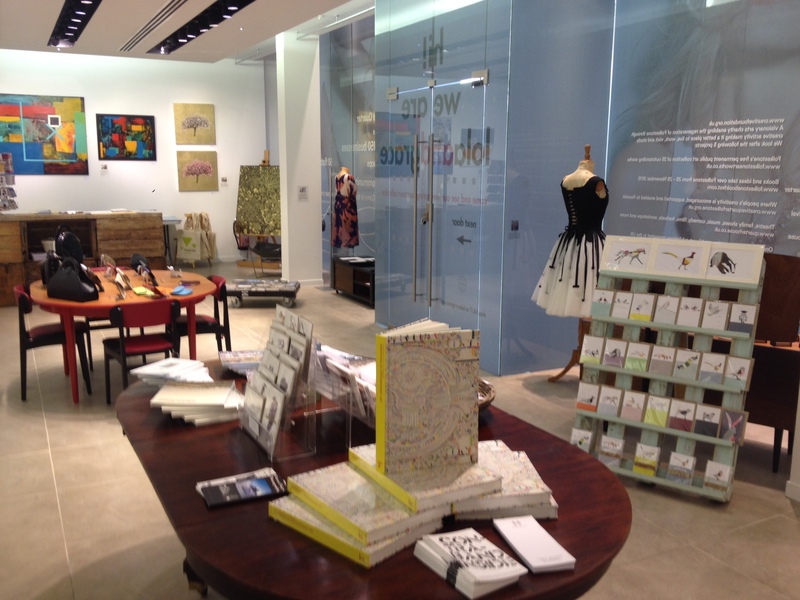 Out of this experience the Creative Foundation learned a big deal about how the retail world operates. We communicated this effectively to all participating artists, who now have a good understanding of how shops are run in such a busy retail environment such as Bluewater and the high standards expected from all sides. One visitor after the other shared with us that our pop up shop felt like an oasis amongst all the usual suspects of the big retail brands and an unexpected encounter, where art met, harmoniously coexisted and had pride place in the a “cathedral” of shopping. While Culture Kent aims to make cultural event data open online, enabling free access to dates, times, and locations of events, open data is not just restricted to this type of information. Museums and galleries similarly make their works of art and collections available to people around the world through their websites. Artworks and cultural objects have been globally accessible since the advent of the website, but they usually were in the form of images or videos. Museum and the Smithsonian have made 3D models of their collections available online. Additionally, there are websites dedicated to bringing together collections from different institutions, notably Europeana and Google Cultural Institute. These museums allow users to interact with the 3D models of cultural artefacts using a mouse to rotate, move, and zoom in and out of objects. Never before has one been allowed such a personalised and in depth look into rare and important museum objects. 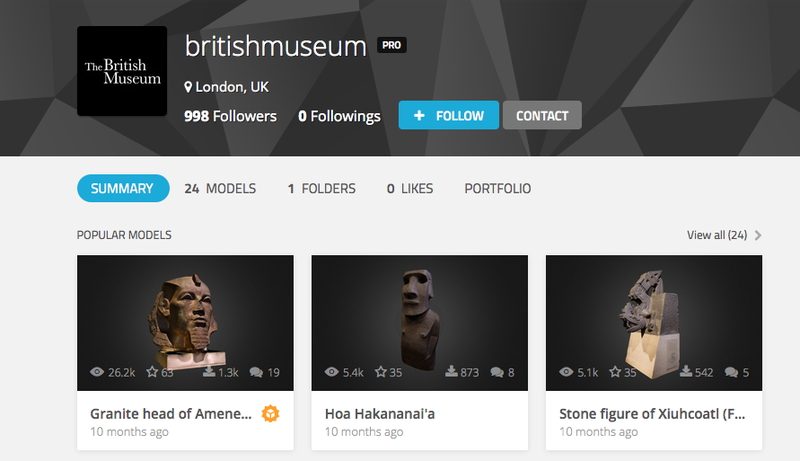 In the case of the British Museum and its utilisation of Sketchfab, users have the chance to select their favourite object and create their own, personalised museum, or even print out 3D copies of objects. By making their collections open, museums are allowing website visitors to have a sense of ownership over certain objects. 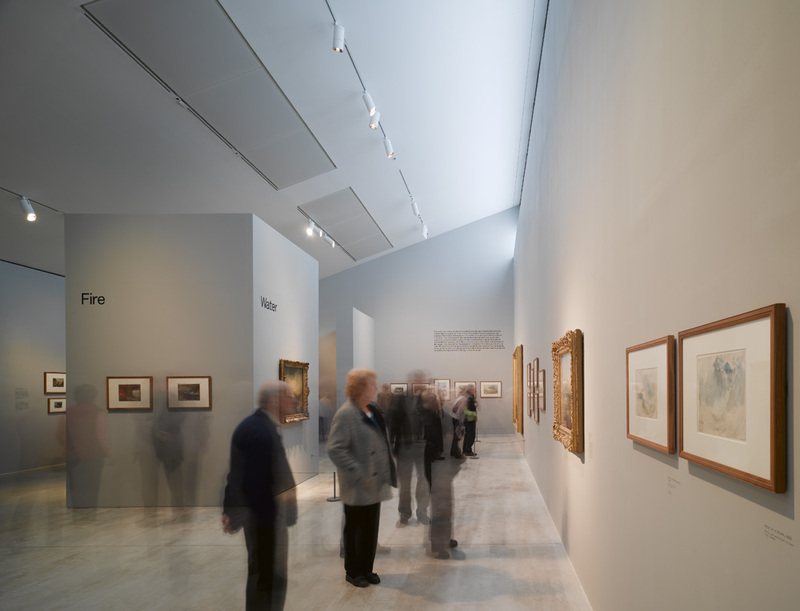 This leads to visitors revisiting museum websites, and potentially even visiting the actual museums, because they not only trust the information made available online by museum personnel, they also made personal connections to a museum. If cultural event personnel also make their event data available to anyone to re-share on their own websites to a new and broad audience, it can have comparable effects. Those sharing the data must trust the information they are sharing is up-to-date, which is reflected in users returning to their website for further event information. As a result, organisations and owners of event data will continue to share upcoming data with their audiences. The importance of making cultural event data open has further effects, which will be discussed in Part 2 of this blog post.